At his birthday gala, King Agmel is murdered. 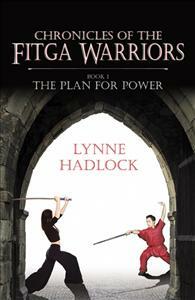 Fitga Warrior Tahsh Hapay and apprentice Marna Veign are requested by Captain Slader to solve the murder before it’s too late. King Agmel is assassinated during his fiftieth birthday gala celebration. Unable to solve the murder himself, and fearing for the lives of Queen Scathia and Crown Prince Imalka, Captain Slader of the Royal Palace Security Force calls on the Fitga Warriors for assistance. Fitga Tahsh Hapay and her apprentice, Marna Veign, are sent to Neuterian to help, but, when Marna discovers information she was not meant to find, she is abducted by a man from Tahsh’s past who is intent on killing her for what she did to him. Will Tahsh and Marna survive to bring the assassin to justice?